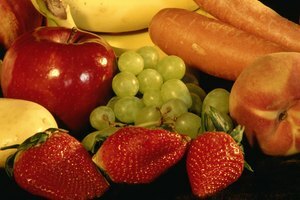 Foods characterized as carbohydrates include sugars and starches. These foods are energy sources for the body, particularly the brain and nervous system. 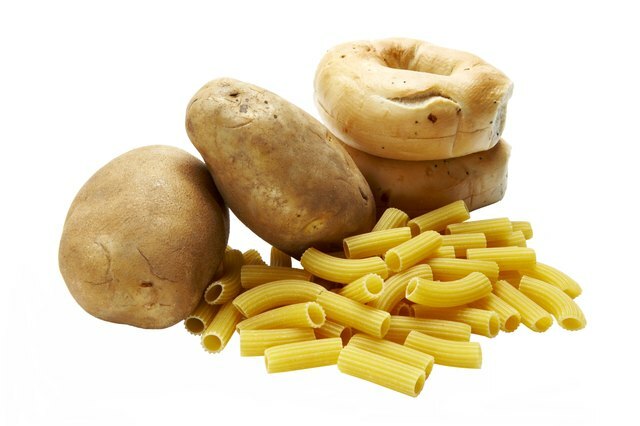 Carbohydrates fall into two categories—simple and complex. Simple carbohydrates like candy, cakes and refined products break down quickly in the body and lack nutrients. MedlinePlus Medical Encyclopedia says complex carbohydrates contain three or more sugars and slowly break down in the body. Foods that are complex carbohydrates contain vitamins, minerals and fiber. 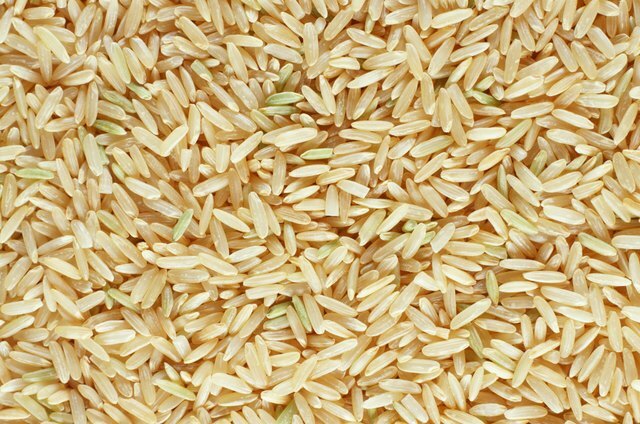 Brown rice is a complex carbohydrate containing four grams of fiber and five grams of protein per serving (one cup.) 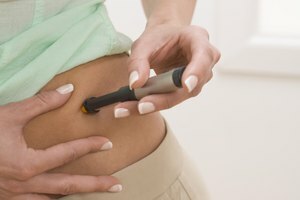 NutritionData.com says brown rice only has one gram of sugar, only 10 mg of sodium, no cholesterol and 216 calories. Brown rice is eaten as a side dish or paired with beans, also complex carbohydrates. 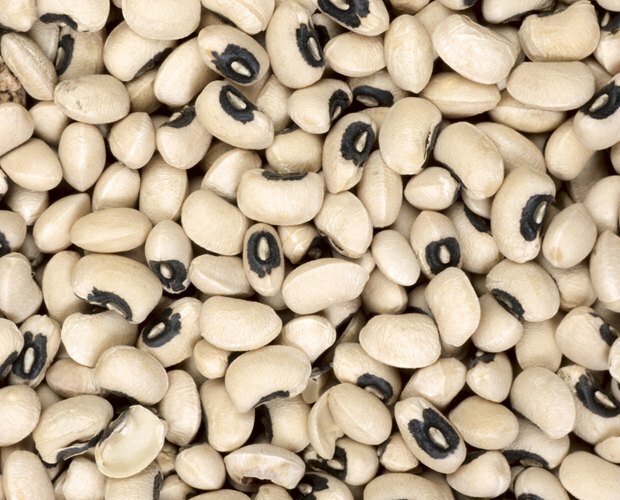 Beans consist of black-eyed peas, kidney beans, lentils, chickpeas, navy beans, split peas, soybeans and pinto beans. These complex carbohydrates contain protein, low amounts of sugar and a low fat content. 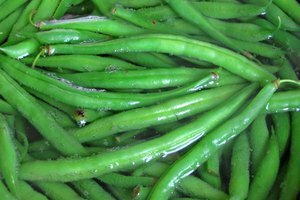 A serving of kidney beans, about 184 grams (1 cup), contain 53 calories, one gram of fat, no cholesterol, 11 mg of sodium, eight grams of carbohydrates and eight grams of protein, according to Nutrition Data. 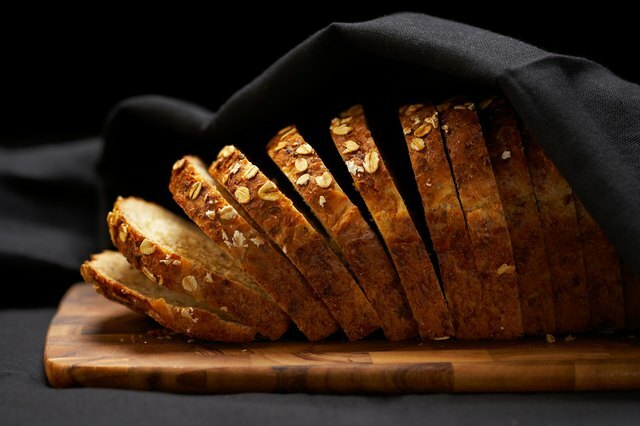 Whole wheat and whole grain breads are categorized as complex carbohydrates. Whole-wheat bread contains two grams of fat, no cholesterol, 24 grams of carbohydrates and four grams of protein, according to NutritionData. 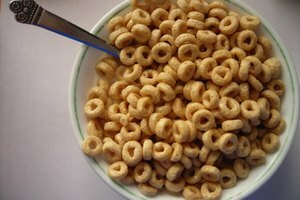 You should look for labels that say 100 percent whole grain and whole wheat. Other grains containing complex carbohydrates include quinoa, millet, buckwheat and barley. Dark, leafy greens such as romaine and kale fall into the complex carbohydrate category. 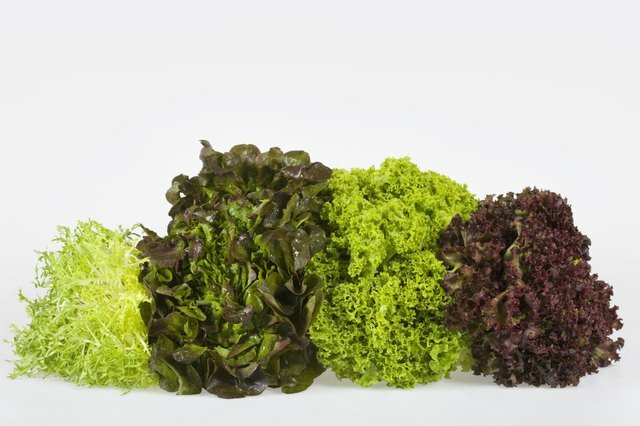 One cup of raw, chopped leaf lettuce has nine calories, 1.3 grams of fiber, one gram of protein and 1.34 grams of carbohydrates, according to the University of Illinois Extension “Lettuce: Watch Your Garden Grow.” The primary nutrient of lettuce is vitamin A and potassium. 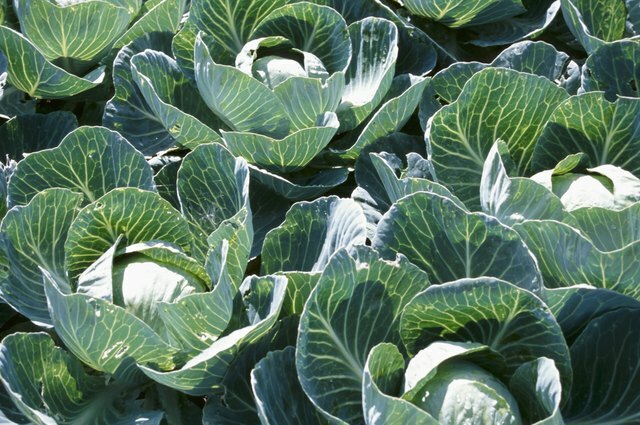 The cabbage family consists of a wide range of colors—from white to dark purple. 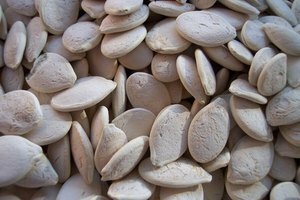 These complex carbohydrates can be eaten raw in salads or lightly boiled or steamed. One cup of raw cabbage (100 grams) has 17.5 calories, one gram of protein, 3.8 grams of carbohydrates, less than a gram of fat, 1.6 grams of fiber and 22.5 mg of Vitamin C, according to the MotherNature.com. 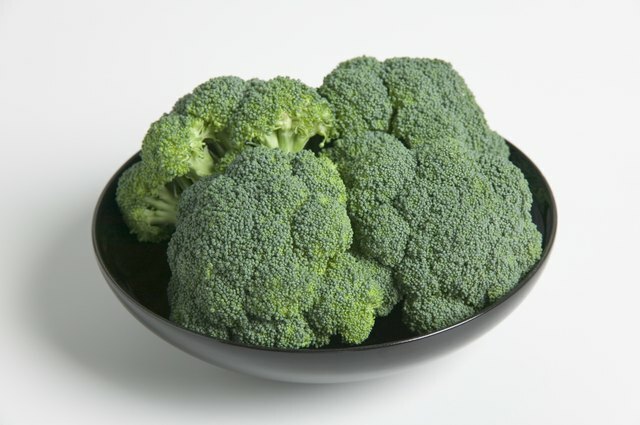 Broccoli is a member of the cruciferous vegetation family, which includes cauliflower, cabbages, turnips and Brussels sprouts. NutritionData says one cup of chopped vegetables (91 g) contains 31 calories, no fat or cholesterol, 30 mg of sodium, two grams of fiber and three grams of protein. You may eat the complex carbohydrate raw or steamed. 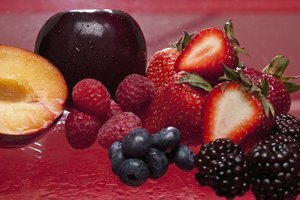 Which Vegetables & Fruits Naturally Have the Hormone Estrogen?